Yeah, yeah, I know. I had you at the word ‘pushups’ right? Being that I’ve never been able to complete one full pushup in my entire life, this would be an event that I would choose to watch as opposed to participate in. HOWEVER, in this case, you can be of ANY fitness level and of ANY age! See, Pushups for Charity 2014 isn’t a soldier style boot camp kinda thing. We’ll leave that up to the military. 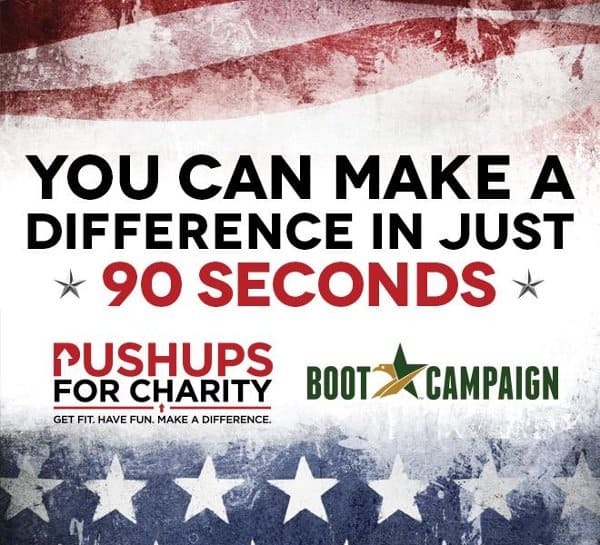 Pushups for Charity is a show-your-support-and-make-a-difference kinda thing. And how much time will this set you back? Just 90 seconds. That’s right. I said 90 seconds. That’s all they’re asking of you. Push-Ups for Charity 2014 is a nationwide, 5th annual campaign starting off on Armed Forces Day, May 17, 2014 and lasting until the ‘Final Push’ on June 28, 2014 in Washington, DC. 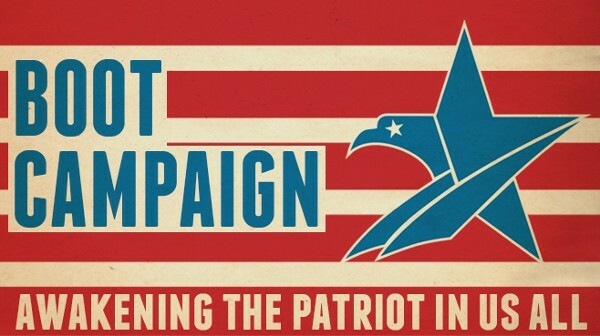 The goal of this campaign is to raise awareness of veteran’s issues, promote patriotism, and provide funds to assist our military heroes. 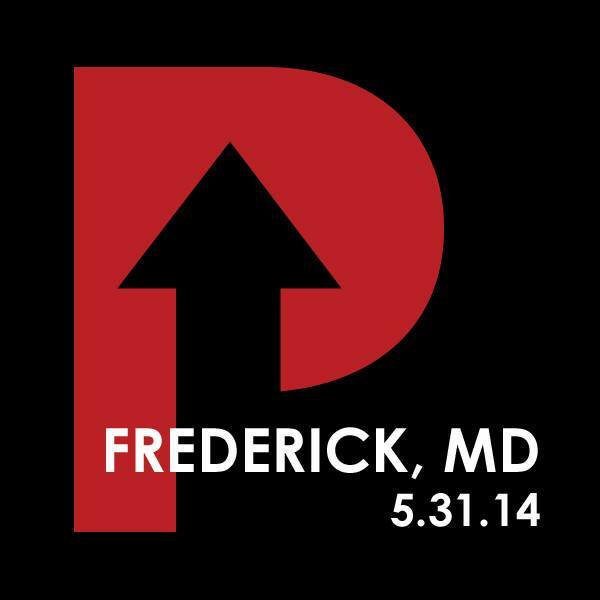 The PUC Frederick MD event, which by the way is the only PUC event in the entire state of Maryland, will take place on Saturday, May 31, 2014 from 2:30pm to 5:00pm at Harley-Davidson of Frederick located at 5722 Urbana Pike, Frederick, MD 21704. 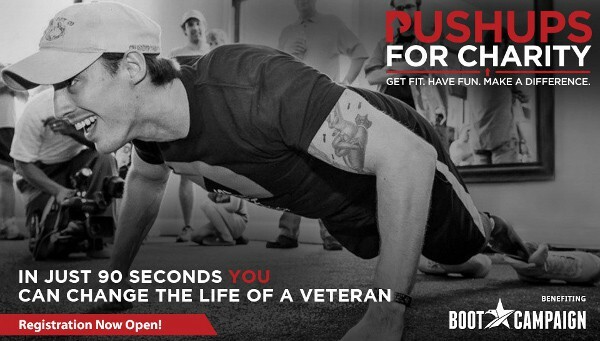 Show up anytime between those hours and do yourself a quick 90 seconds of pushups for a great cause. If you really don’t feel up to doing the pushups, you also have the option of donating to the charity. All donations go directly to the national non-profit Boot Campaign. 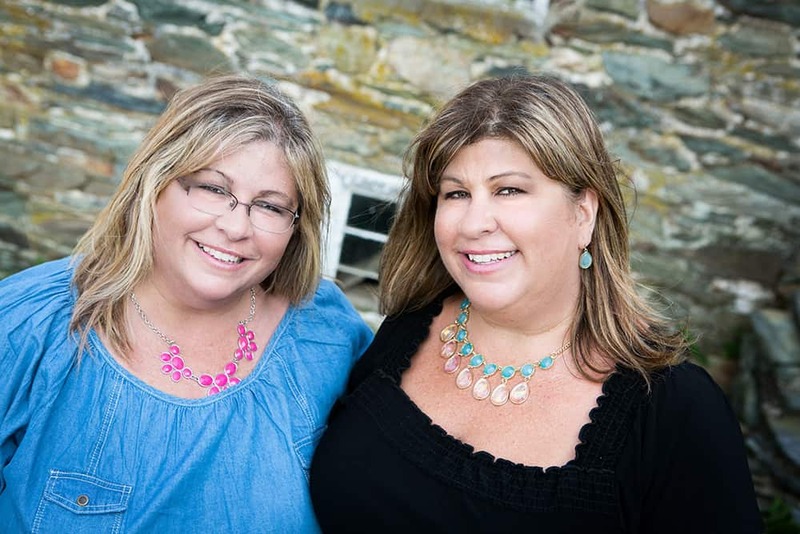 The Boot Campaign ‘is dedicated to showing tangible appreciation of our active military, raising awareness of the challenges they face upon return and supporting their transition home. The Boot Campaign cultivates awareness, promotes patriotism, and provides assistance to military, past and present, and their families. 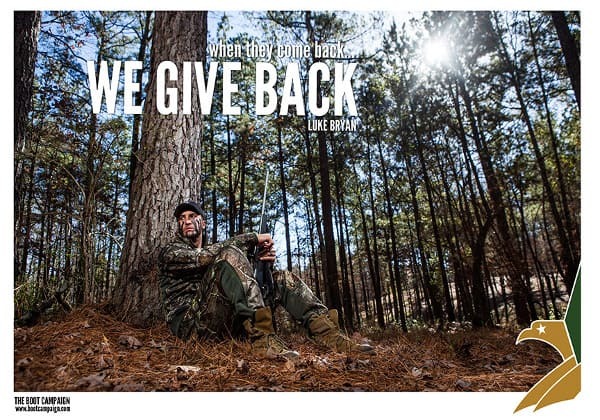 Through the sale of its signature military combat boots, general public donations, and corporate sponsorship, the Boot Campaign operates six distinct initiatives — Jobs, Housing, Education, Wellness, Urgent Assistance and Family Support– that are caring for military personnel, past and present, healing from a variety of physical and emotional combat wounds, embodying the campaign motto that, “When They Come Back, We Give Back”. Hey! 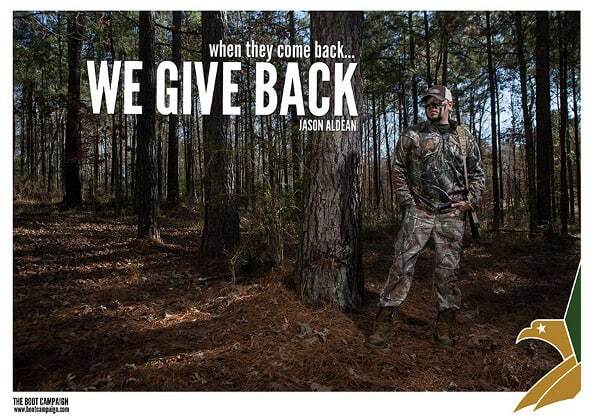 If Luke Bryan and Jason Aldean can support the Boot Campaign, among many other celebrities and athletes, why can’t we? 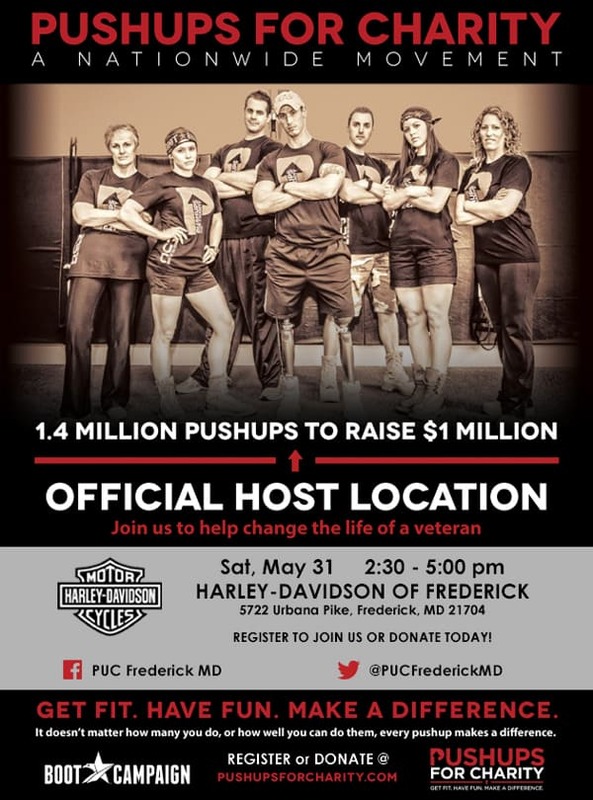 So click on this website and register PUC Frederick MD and then mark your calendars to be at the Harley-Davidson in Frederick on May 31st and devote 90 seconds of your time for such a great cause!